Gardening is a constantly changing hobby for many of us. When we visit garden centers, we are often not only buying plants that are familiar to us, but we are on the lookout for something new. Many private gardens have signature plants that might be a tree or shrub, or perhaps it is a plant(s) that we buy new every year. 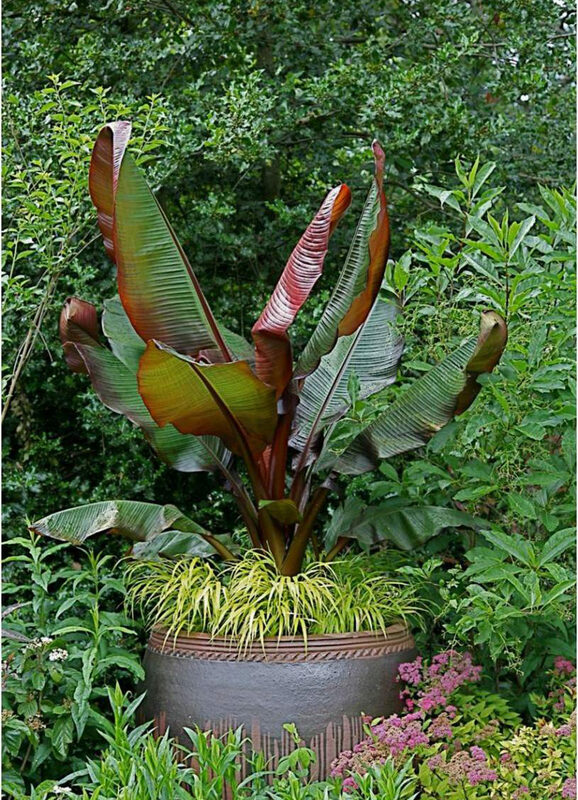 In my garden, I would consider the three Ensete ventricosum ‘Maurelii’ (Red Leaf Banana) as signature plants. I have three giant pots and each spring I buy three of these plants and they become specimen plants throughout the summer. And where did I get the idea for growing these in pots? The idea came from visiting another gardener’s garden. Visiting other gardens is an experience that I welcome. Sometimes when I am busy with my own garden, I hesitate leaving it to see another garden. However, when I do, I’m glad I did. Many garden clubs and schools sponsor open gardens as a fundraiser. Obviously individuals enjoy this activity, as evidenced by the income generated. In fact, open gardens are so popular that they have become a major reason for people to join some horticulture organizations. In the Portland, Oregon metro area, one of the largest horticulture organizations is The Hardy Plant Society of Oregon. This organization, which has more than 2,500 members, publishes an open garden book each year, with descriptions and dates of gardens that will be open to members for free. This year there were almost 100 different private gardens to choose from. Gardens began opening in April and some have open dates into October. Many gardeners open their gardens more than once in a season. This provides the visitor with the opportunity to view how the garden looks at different times of the year and which plants are blooming when. The Salem Hardy Plant Society has a similar feature of open gardens in and around the Salem area for members. I am sure that there are many other similar organizations that have the same type of program. In addition to seeing plants that are new to me, I often see old, familiar plants that are used in creative ways. Maybe there is a container with a mix of familiar plants that I might never have considered putting together. I might end up stealing this idea for my own garden. I might also alter the plant assortment and make it my own, still realizing that the original idea came from somewhere else. A year ago, on a visit to the garden of John and Kathy Palmer in Salem, I saw Deinanthe bifida in bloom. I had not seen nor heard of it before. The plant is sometimes called the Two-Lobed False Hydrangea. It soon found its way onto my “must have” list — and, of course, into my garden. Visiting a private garden also affords the opportunity to meet the owner(s), usually present during an open garden. This is a perfect venue to talk about gardening! I love to pick their brain regarding plant selection as well as places to shop — and most of them love talking about it. The Pacific Northwest is fortunate to have highly active horticulture communities. 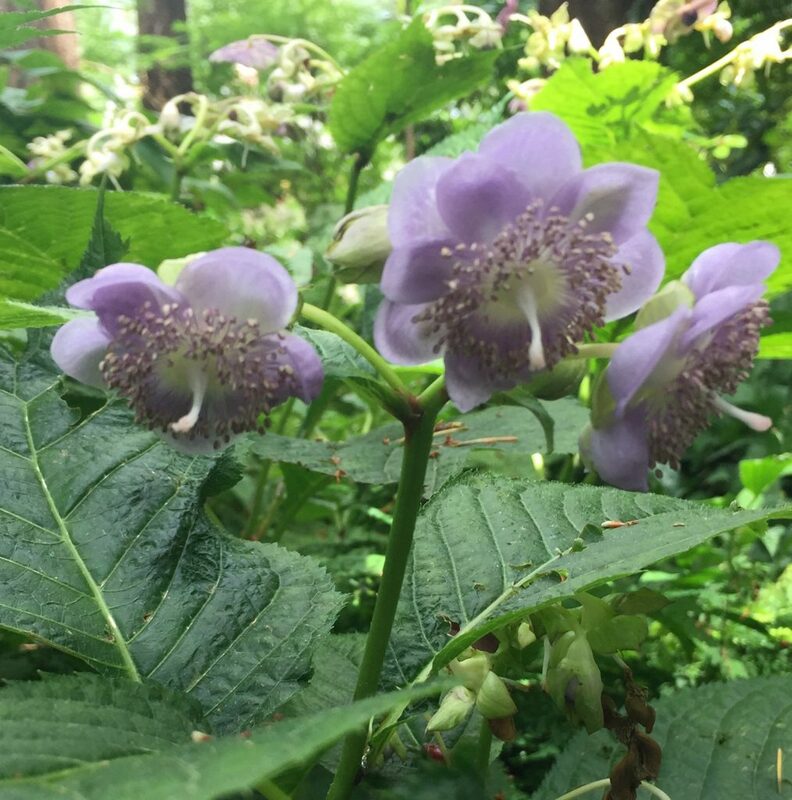 Even though gardeners might visit consumer garden shows to see what are thought to be the newest gardening ideas, sometimes a private garden tour is the best place to uncover a new trend. Tapping into this large and diverse resource may pleasantly surprise you.